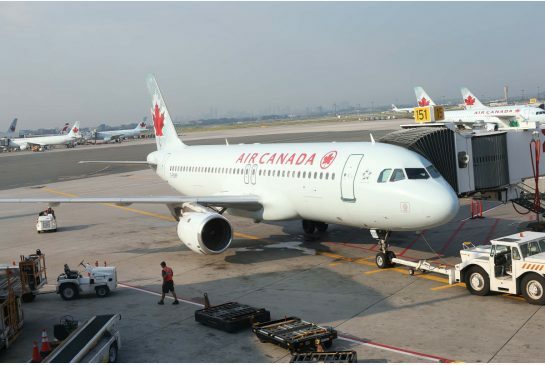 Air Canada has decided to suspend flights to and from Venezuela, citing concerns over security. Air Canada said it would consider resuming operations once the situation in Venezuela had stabilized. The airline operated three return flights between Toronto and Caracas per week. Twenty-nine people – from both sides of the political divide – have been killed in six weeks of protests against high inflation, crime and the shortage of many staples in Venezuela. “Due to ongoing civil unrest in Venezuela, Air Canada can no longer ensure the safety of its operation and has suspended flights to Caracas until further notice,” says the Canadian airline in a statement. It says customers who have not begun their travel “may obtain refunds”. Others may be rebooked on other airlines. Several international airlines have reduced operations in recent weeks in Venezuela, but their main grievance has been the government’s tight currency controls. International airlines say the government of Nicolas Maduro owes them more than $3 billion. Tough foreign currency controls make it difficult for foreign airlines to repatriate money obtained from ticket sales in Venezuela. In January, Ecuadorean airline Tame suspended flights to Venezuela, demanding $43 million – one third of the company’s yearly revenue – in overdue payments for tickets. President Nicolas Maduro said that airlines that reduced their operations in Venezuela would face “severe measures”. “The company that leaves the country will not return while we hold power,” he said. The government says right-wing groups backed by the US have fomented the unrest as part of a coup plot. Tight controls over foreign exchange were first imposed in 2003, following a troubled year which saw a coup against then-President Hugo Chavez. The government expected to avoid capital flight, but the economic crisis of the past year has led to a shortage of foreign currency. Two months ago, Venezuela introduced further exchange controls.